Qsymia Review (UPDATED 2019): Is it any good? Qsymia Review: Is it any good? Bragging to be an FDA approved dietary supplement, Qsymia has hit the market promising weight loss to it’s overweight audience. Coming in extended-release capsule form, it claims that it’s users can lose 4 times the amount of weight as compared to with a diet plan and exercise alone. Four times the amount? So if you lose 5 pounds with just diet and exercise this product can get you to lose twenty pounds!? If you are skeptical about this, so were we. That’s why we decided to go ahead and take a closer look at this product. The company that manufactures Qsymia is the Mountain View, California based Vivus. Vivus is also known to produce various other products, helping with maladies that range from obesity to sexual health and sleep. Qsymia can be purchased online from the company’s website, as well as on Amazon.com. 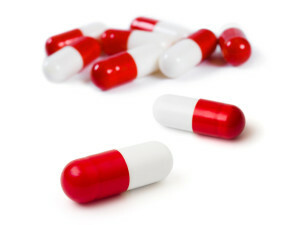 Qsymia capsules are to be taken once daily and before breakfast. If a dose is missed, it is recommended to not take too late in the day and to take the pill as soon as is remembered, unless it gets too close to the time of the next dosage. 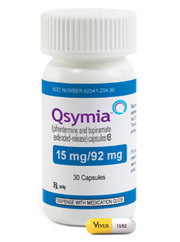 Both of the key ingredients in Qsymia are intended to help suppress appetite over an extended period of time. Even though some users have claimed to have seen results, others have not, even when adding a lower calorie diet and exercise into the mix. It should also be noted that even when users did see positive changes in their weight, this was countered by the side effects that may occur to it’s users. What are the ingredients and are there any side effects? Qsymia is made with two different ingredients that work together to help users lose weight. It should be noted that neither of these ingredients are natural, so if you are someone that wants to only consume a dietary supplement with all natural ingredients, it is best to look elsewhere. 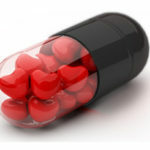 If you want to find out about what are the best all natural diet pills, please check out the top 10 list. Phetermine: Coming from a conjunction of the chemicals phenyl-tertiary butylamine, Phentermine is chemically similar to amphetamine. This ingredient is used to help suppress appetite. 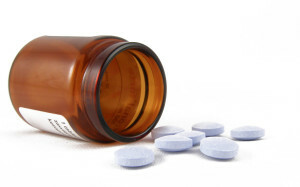 Topiramate: An ingredient known as an anticonvulsant, it is usually used to help treat seizures. Side effects: Users have reported trouble with memory, sleeping, concentrating and speech. Mood changes, tingling sensations in the extremities, as well as dizziness have also been reported. Serious side effects include: Increased heart rate, serious eye problems, birth defects and suicidal thoughts. Eligible patients can receive 2 weeks worth of Qsymia for free. Phentermine is an ingredient that has a history of lawsuits stemming from the negative side effects that it has given it’s users. Looking at a list of the possible side effects that this ingredient can give is all that is needed to think twice about if this product really is what you are looking for. If a dietary supplement can harm you so badly, is it really worth it to turn to this specific diet pill? The product’s other ingredient, topiramate, is a bit questionable as well. User reviews found on websites such as drugs.com have reported to have while in some cases helped with weight loss, have also complained about depression that can get so bad it can lead to suicidal thoughts. There’s also the issue that the Qsymia‘s website does warn that there is potential for the product to be habit forming. People with a history of addiction and mental illness would be especially vulnerable to this, as Qsymia has also been known to give withdrawals to it’s users in high doses. Losing weight is a good goal to have, but it shouldn’t be a potential side effect that you may fall into the trap of chemical addiction in the process to get there. So taken that one ingredient can possibly get you addicted and the other can possibly make you really depressed, it really brings the question back to you, the potential buyer and user of this product. Would you be willing to possibly deal with these side effects should they arise? While optimistic in it’s claims, the ingredients in Qsymia are a cause for concern. While some have seen results from this product, others have said that the side effects that are experienced by it cancel out progress that is made in weight loss. While claiming to be the weight loss cure that many people are seeking, the actual results and effectiveness of this are very questionable. When taking into consideration the potential for some pretty nasty side effects, one has to wonder if this product is even worth it at all. As a buyer, you should always be aware that other products are out there that could be much better for you, and cheaper as well. So if you feel the potential risks for this product are too much and out weight the positive aspects of the drug, this writer for one would not blame you for making such a decision. We recommend that you look into other, better dietary supplements that are available on the market.